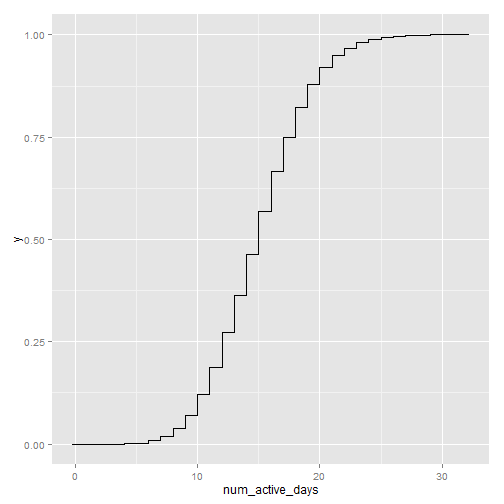 R has some great tools for generating and plotting cumulative distribution functions. However, they are suited for raw data, not when the data is summarized in frequency counts. However, reducing to frequency counts is often necessary when processing data at the scale of tens of gigabytes or more. Here I describe a convenient two-liner in R to plot CDFs in R based on aggregated frequency data. 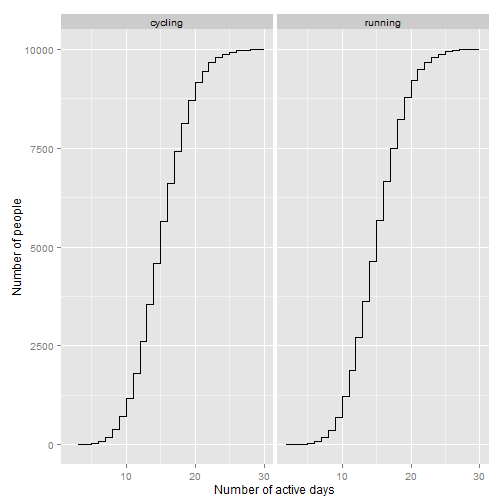 For example, suppose you want to analyze the number of times people exercise in a month. 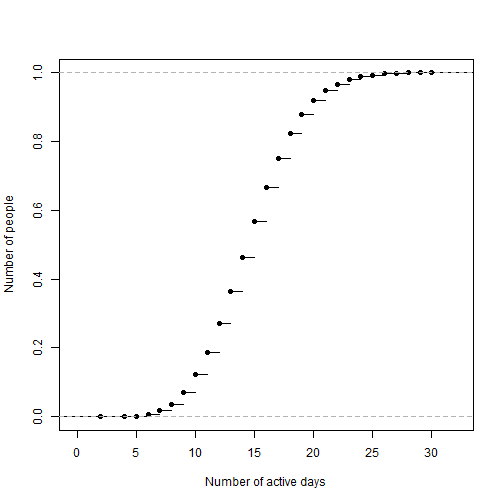 One option would be to work with a data table consisting of the number of active days for each person. Using built-in function ecdf, it is easy to generate the cumulative distribution function for such data. 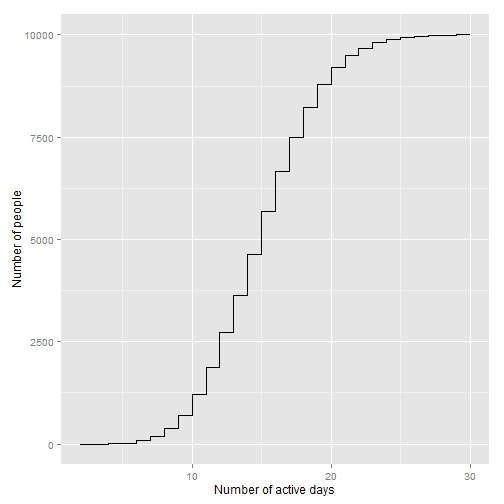 For those interested, ggplot provides a function stat_ecdf, which makes this process even simpler. Let us now compress our data by precomputing the frequency of people active on each day. Note how this is a 30x2 table at worst, instead of 10,000x2 entries that we started with. Calculating the empirical cumulative distribution involves sorting the data and using cumsum to calculate cumulative sums, then plot using the step function as before. Now, suppose you wanted to break down your analysis by the type of activity. Let us assume that there are two types of activities: running and cycling. The same code can be used to generate the CDF, with an additional group_by.